Superdry women’s Storm Hybrid panel zip hoodie. 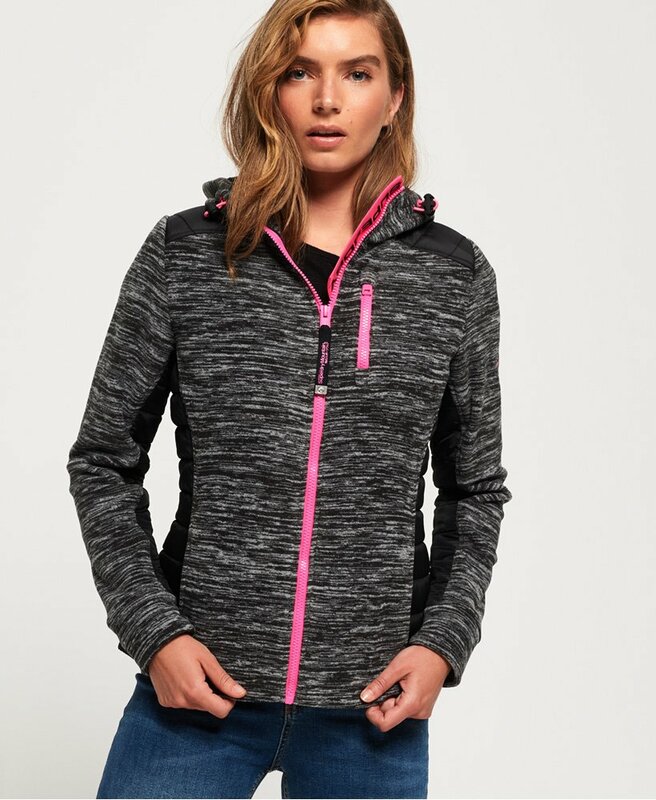 This hoodie is the perfect layering piece for colder weather and features a fleece-textured body with quilted panelling on the sides, arms, shoulders and hood. The Storm Hybrid panel zip hoodie also features a front zip fastening in a contrasting colour, two concealed zip fastened front pockets and one chest pocket. This hoodie is completed with a bungee cord adjustable hood, an embroidered Superdry logo on the back and a Superdry logo patch on the sleeve.